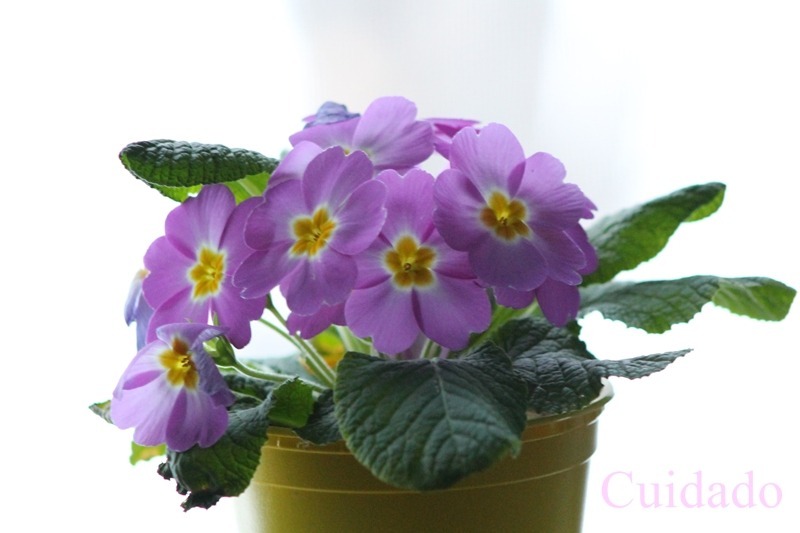 Two primrose blooms in the same pot have their pollen developing at different times. I like all these lovely closeups, Mary. Mary MacADNski: Glad you did. Spoke spring to me. Such beautiful light on these images, Mary! Curious - how they develop their pollen differently! Perhaps to keep the pollinators returning? Mary MacADNski: Most flowers on a plant develop at different times within that species limit. You will see it again and again. Ces fleurs ont de très belles couleurs. Mary MacADNski: This is a lovely colour, I agree. Mary MacADNski: A simple spring primrose that is not hardy here but certainly is in your location. This was inside. What a joy to see, Mary. Mary MacADNski: Spring is joyous indeed. Some beautiful details in this; I especially like the colours and textures. Mary MacADNski: I remember that day two years ago. That plant is gone now. This is just wonderful and colourful. Great macros. I love this time of the year with all the beautiful flowers. Mary MacADNski: We still have lots of snow but the daffodils have emerged about 5 cm from the soil. What a really enjoyable quartet of pictures Mary, Maureen always has quite a few of these on the go. Mary MacADNski: This is from two years ago and it was a couple of years old. It died after this and I've not bought another one. They are not hardy here so a splurge. Wonderful images- you are one of the best flower photographers on SC! Mary MacADNski: I want to keep this comment forever, Philine. The best compliment I could have as you read passion, not perfection. Lovely shot, Mary - particularly the top one! Mary MacADNski: I remember this session fondly. Thank you. Great set of shots, continuity of flowering raising the chances of successful pollination. Mary MacADNski: Exactly. Most plants do this and it was interesting to see it and show it with neighbouring flowers. I have mentioned on earlier comments that it is perfectly usual. Mary MacADNski: It worked for another season but did not make it to the next. Mary MacADNski: Every plant does this.